This is one of the most frequently asked questions among PrestaShop users, yet the task itself is rather simple and doesn’t require any special knowledge. Still, let’s make clear once and for all how to do this. First, go to Modules section and choose Module Manager tab. 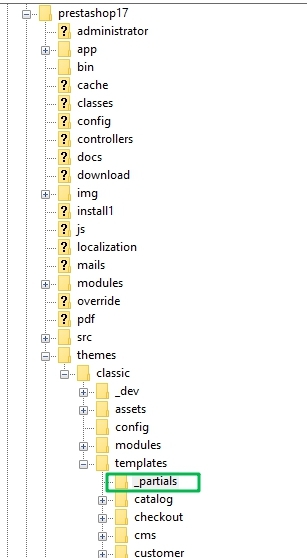 Here you will see all the installed modules you have. Find the Image Slider module. Find the Image Slider module. As you click the Configure button, you’ll get to the Slider settings menu. Loop forever – choose to loop slides forever or stop it after the first round. Below you’ll see the Slides List section, which concerns configuration of a certain slider. This is all about homepage slider configuration. This information will be enough for a common shop administrator or manager to create and configure unique slider for their webstore homepage. Nowadays you can’t even imagine a company that doesn’t have its own logo. It’s crucial to have a sign or an image that will be associated with your enterprise only and will be recognized by your clients and partners. Needless to say that your logo should be on not only door to your office (s), packaging of your products, corporate letters, etc., but on your webstore as well, in particular on the home page. So – how do you change logo in PrestaShop 1.7.5 online shop? < 370 x 99 pixels prefered picture size. Having got the logo, you can now proceed to uploading it. 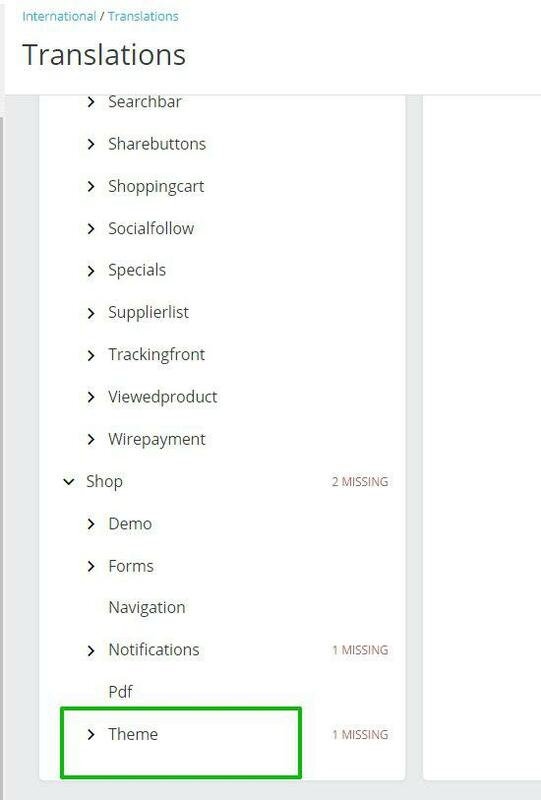 Go to the admin panel of your shop, find the Design section and click on Theme & Logo tab. As you can see, the mechanism of adding the logo picture from now on becomes a classic picture uploading – click on Add file button and find the needed picture in your file tree. What’s most important here is that you can create variations of your logo and for each situation use a different one, which is, you can’t but agree, a wonderful customization opportunity. 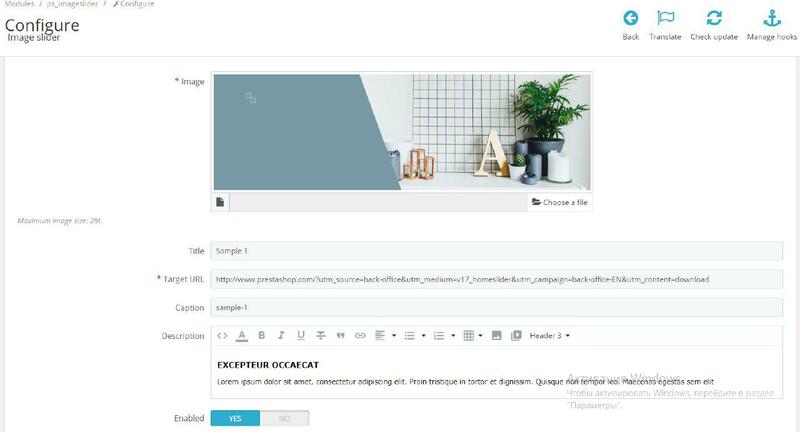 By default the message in PrestaShop footer will look like this “© 2018 – Ecommerce software by PrestaShop™”, with the link leading to www.prestashop.com website. This is not the worst-looking copyright message, it’s true, but it can be better – it can contain the message you want it to have. So this is how you configure the copyright message from footer. Go to International -> Translations. What you need is the Modify Translations section. 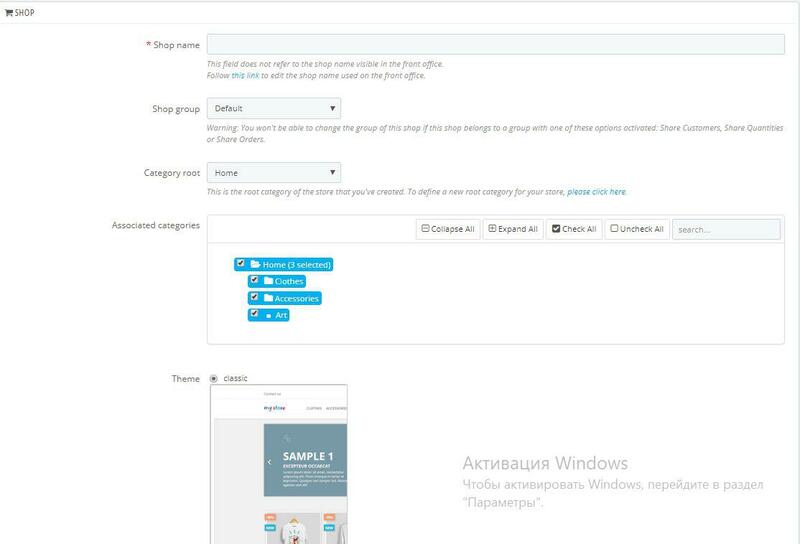 Choose Themes translation option in Type of translation, select your theme (we chose classic, it can be any for you) and language (English in our case). Click Modify to save changes. You’ll get to a large menu where you need to find the Theme drop-down. Find the Ecommerce software by field and change its content for “Created by”. Save changes. Save the changes and check if they were applied in the frontend. 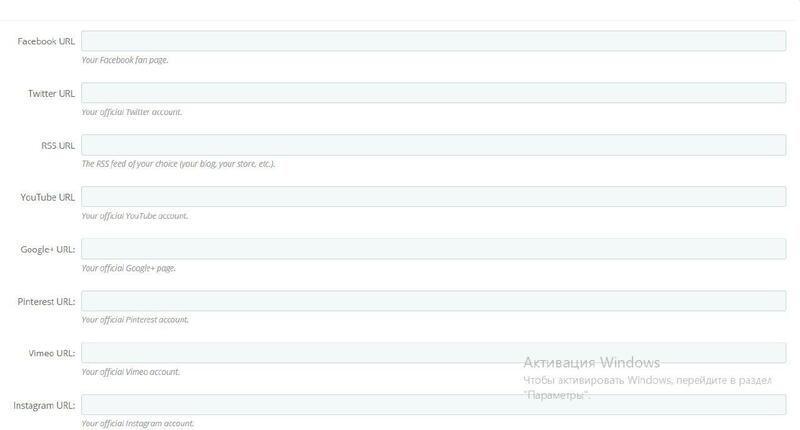 And this is all for copyright modifications in footer. The amount of time people of every age and nation spend in social media is unprecedented. People share their thoughts, ideas, moments from personal lives, what they like and don’t like. Since shopping is as well rather important activity, integrating online shop and social media would be a very wise idea. This way your customers get the possibility to share your product on their news feed and you’ll get the increase of traffic and engagement. It’s a win-win situation! 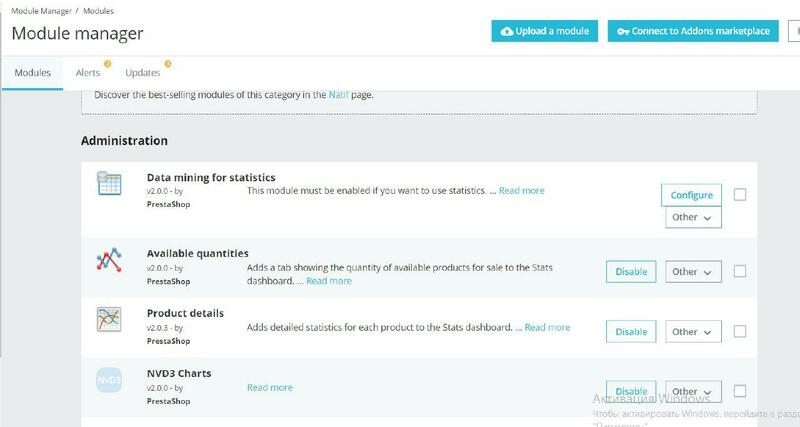 To begin adding social media on your webstore, go to Modules -> Module Manager and find the following modules: Social media follow links and Social media share button. and RSS (your blog, your store, etc.). Fill in the fields with the corresponding social media page address and click Save. As a result the following buttons will appear on your homepage. 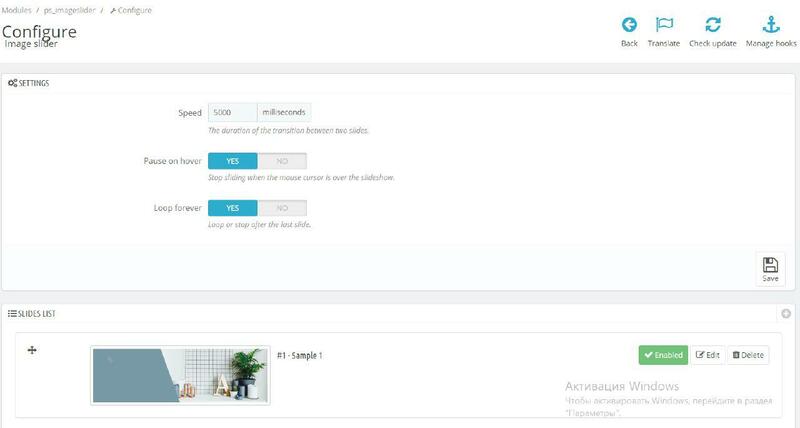 PrestaShop allows you to not only create, manage and configure one store – you can create multiple stores and work with them simultaneously, in one admin panel. You can’t but agree that it’s very convenient and saves lots of time and effort. 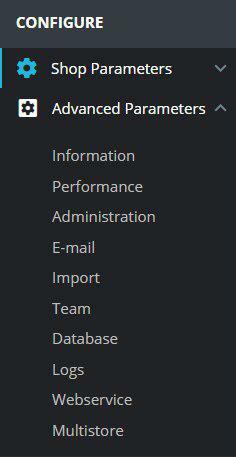 If you decided to go multistore in PrestaShop 1.7.5, you need to go to Shop Parameters -> General. Find the Multistore tab, enable it and click Save. After than in the Advanced Parameters segment appears the Multistore tab, and this is the place where you will manage your other shops. As you go there, you’ll see the following layout. Here we need to click the Add a new shop button. You’ll get to the page where you need to put in the general info. Below you will find the Import data from another shop section. This is where you decide which information should be copied from your main shop. 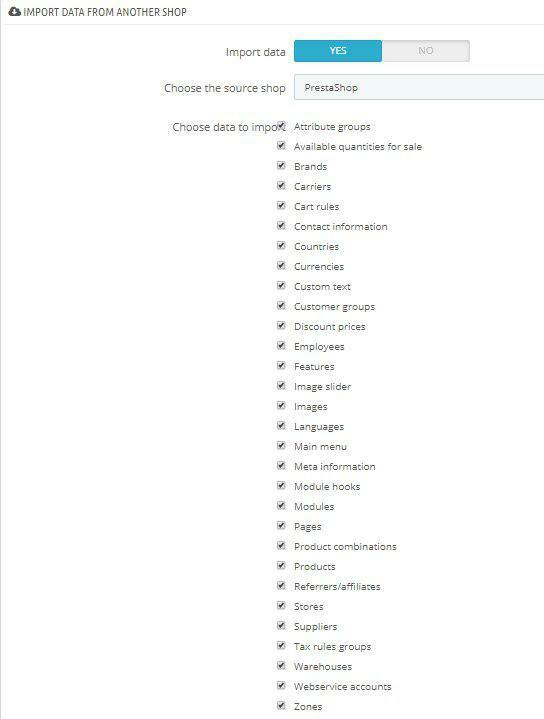 Choose the source shop is where you indicate from which shop (in you have more than one) to import the data. In Choose the data to import you put a tick on the data you want to import to the target shop. This is where each shop owner decides for himself, but I would advise to at least import the modules. After you configured everything described above, specify URL as a final touch and your shop is ready. So, this is all for this five topics we chose to consider today. I hope the information was useful to you, and if you have questions or comments, feel free to leave them down below. How to add custom image to prestashop footer? Hi, Allen! Thanks for your great question. Hi there. I might sound really foolish right now. But to be honest.. When i open up theme&logo it does not have an option to click on default theme / Classic theme where i could edit my .tpl files.. i am using prestashop 1.7.5 and have no idea where to find those files. please would you be able to assist. i am trying to load a payment logo on the check page as i is quiet bare. Hi, Dee! Thanks for your question. To find the files you need, please follow the theme/Your_theme_name/templates/checkout path.